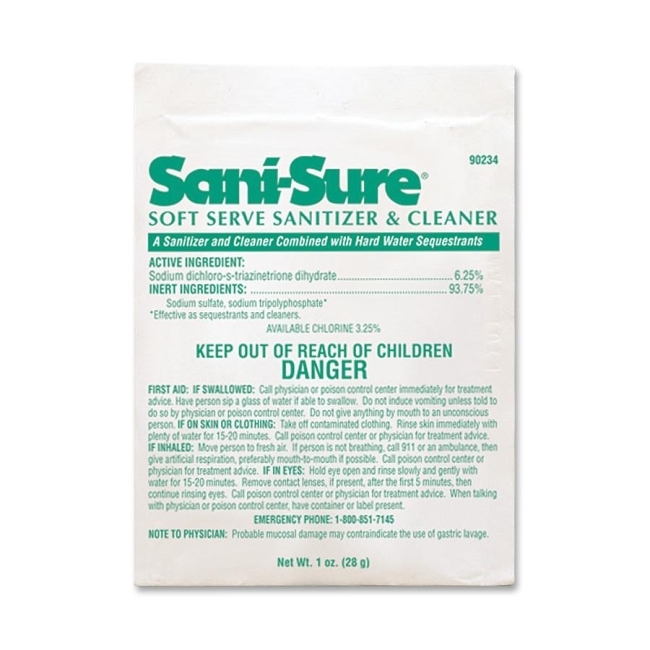 Soft-Serve Sanitizer contains a highly concentrated formula that is ideal for shake, slush, soft-serve or yogurt machines. No-foaming formula comes in a white powder. Premeasured 28 gram pouch is designed to help control costs, product waste and inventory. 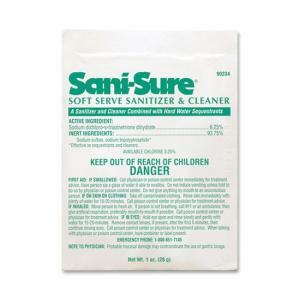 Sanitizer is excellent for the removal of fat particles and helps dissolve milkstone and protein. Dilution ratio is 1:267.